Cilantro Microgreens, often referred to as Chinese Parsley, Coriander Leaves or Culantro, is quite different than the full grown variety. The Cilantro microgreen that we grow is grown from only certified micro greens seeds, and is grown in soil in a completely sterile, natural environment. The greens are grown to between 1″- 2 1/2″ and are completely edible all the way down to the roots. 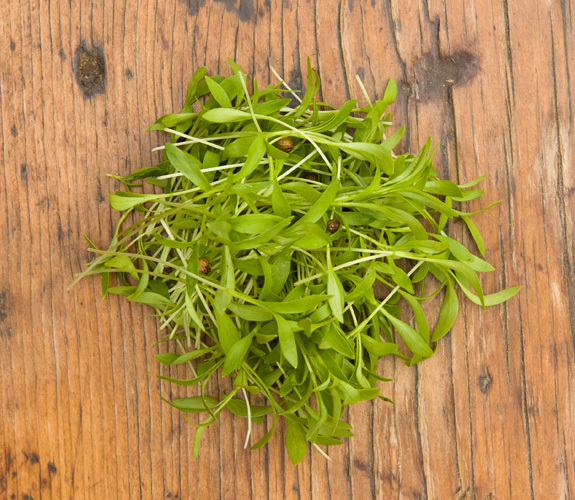 The leaves of cilantro microgreen are elongated compared to that of the full-size plant. Cilantro has long been known as the primary herb in Chinese cooking, however in recent years it has become a star on the tables of North American and European restaurants. 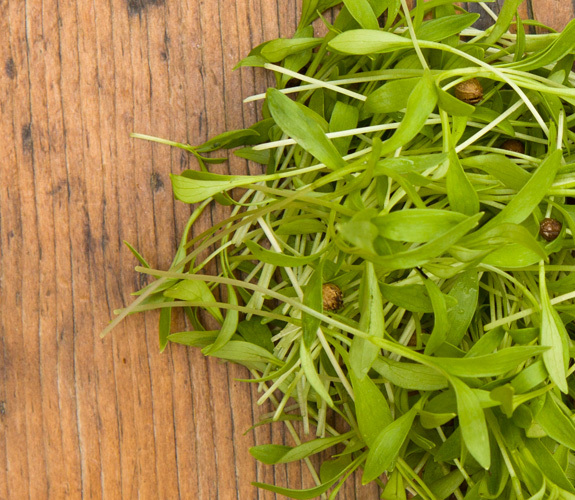 The cilantro microgreen has a sweet, bright aroma and is quite bold. 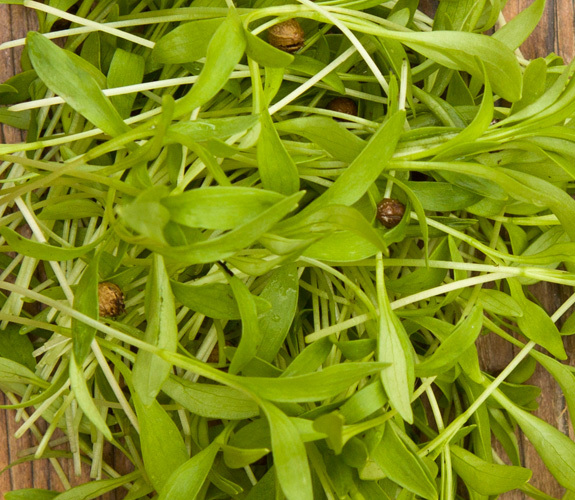 In contrast to full-size cilantro, micro cilantro is slightly peppery and has a little bit of grassiness. It also smells much different than mature cilantro, and doesn’t have the musty smell that many people dislike. Micro Cilantro is for people who like bold Cilantro flavour and who want a slight punch in their dish. It is especially good in Salads, Fish, and Curry dishes.